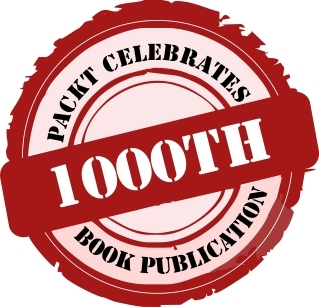 During this time Packt has been very active in producing high quality BizTalk books but that is not all. They are about to release their 1000th book which is definitely an impressive milestone. As part of this celebration, Packt has a special offer that they have extended to the public. Please click on the image below for more information. Back in June 2012, I had the opportunity to attend TechEd North America. 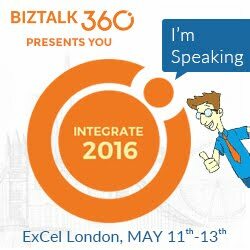 At this event the BizTalk team gave us a glimpse into the next version of BizTalk and went over the Product Road map. You can read more about this Roadmap session here. One of the areas that Microsoft wanted to address was better/seamless integration with Azure and more specifically with Service Bus Queues and Topics. The BizTalk team released a feature pack back in October 2010 that better enabled BizTalk to leverage the Service Bus Relay capabilities. This feature pack does work well but did not allow for connectivity to Service Bus Queues and Topics since they weren’t even available back then. In the fall of 2011, the talented Paolo Salvatori wrote a very detailed article on how you can integrate BizTalk 2010 with Service Bus Queues and Topics. While Paolo’s solution does work it does require some additional effort and some people may be a little overwhelmed by the solution. But I do give credit to Microsoft and Paolo for coming up with a solution considering BizTalk 2010 was released much before Service Bus Queues and Topics were commercially available. Their solution just validates why BizTalk leveraging WCF is a good idea. When investments are made to WCF, BizTalk usually benefits. All in all, it was a good stop-gap for anyone desperate to integration BizTalk 2010 with Azure. Fast forward to July 2012 when Microsoft released this BizTalk 2010 R2 CTP. Microsoft has delivered on making integration with Service Bus Queues and Topics very simple. The BizTalk team recently released a blog post which provides an overview of some of these new features. I thought it would be beneficial to provide a walk through for anyone interested in more details than what Microsoft included in that post. The scenario that we are about to explore includes a client application that will publish a typed Brokered message from a Console application to a Service Bus Queue. BizTalk will then use the new SB-Messaging adapter to retrieve the message and simply write it to the file system. As an experienced BizTalk guy, I like strongly typed messages and I am not afraid to admit it. So as part of this solution I am going to include a strongly typed BizTalk schema that I am going to deploy. 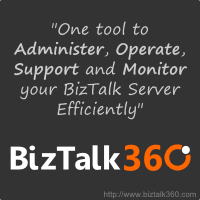 For this walkthrough I am not going to transform this message but for anyone familiar with BizTalk they will be able to take this solution adapt it for their needs. Next I will use the Nuget Package manager and installing the Windows Azure Service Bus package. You can access Nuget by clicking the following within Visual Studio: Tools - Library Package Manager - Manage Nuget Packages for Solution. Since I want deal with typed messages I am going to create a class called PowerOut. Since I work in the Power Industry I will over-simplify a use case that involves a customer whose power is out. They will send a message from a client application (it could be a web page, mobile phone app etc) to a Service Bus Queue. The first one deals with the DataContractSerializer as seen below. The next deals with the few lines that have been commented out. Since I want to use typed messages within BizTalk, I can generate a sample XML message using the code below. This will allow me to generate a BizTalk schema using tools provided within Visual Studio. We can now create a BizTalk application. Since we are using the new BizTalk 2010 R2 CTP we can also use the latest version of Visual Studio 2012. As I mentioned earlier I want to process typed messages so our BizTalk solution will be very simple. It will only include a Schema. We will deploy this message to BizTalk so that when an instance of this message is published to the MessageBox that we will have a known schema deployed that will match this message type. We can now create a new BizTalk application. I have called mine PowerOutage and I have also added a Strong Name Key called PowerOutage.snk. Next I want to create a new Schema based upon the sample file that we previously generated. I can create this new schema by right mouse clicking on BizTalk project (PowerOutage) - Add - Add Generated Items. We will now have a schema added to our solution that represents our PowerOutage class. When we launch the BizTalk Admin Console we will discover our PowerOutage application. We now need to create a Receive Port and corresponding Receive Location. In this situation we are going to use the SB-Messaging Adapter. Next we need to click on the Authentication tab. Within this tab we will provide our Namespace as it relates to the Access Control Servers (ACS), an our Issuer Name and Key. The Properties tab is not used in this example. I will further examine it in a later post. With our Receive Port and Receive Location created we can no move on to our Send Port. For this example we are simply going to create a File Drop where we can write out the file that we have received from the Service Bus Queue. Since we do not have any Orchestrations we do need to wire up a subscription for our inbound message. In order to do this we will simply create a “Send Port Subscription” by setting filter. Next, launch our Console Application and we will discover that our message has been sent to our Queue. If we check the File Drop that was specified in our Send Port we should see a newly created file. When we open this file we should recognize the content that we populated in our Console application. Since we now have typed data within BizTalk it will be easy to transform it into other message types so that we can exchange data with other systems such as Line of Business (LOB) systems. Now that wasn’t so bad was it? For experienced BizTalk people this process should be a breeze. The only area that initially hung me up was the DataContractSerialzer that is specified in our console application. The other good news is that we are just scratching the surface in this blog post. Look for more posts related to BizTalk and Service Bus integration using the new BizTalk 2010 R2 CTP. I have forwarded your email addresses to the publisher and they will be in touch.